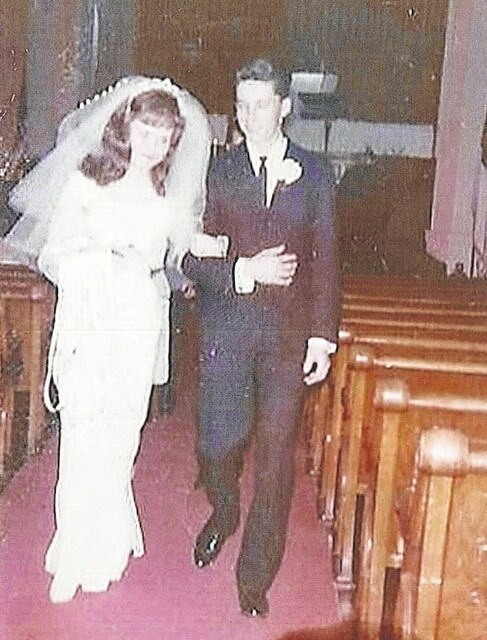 On April 30, 1966, Ron Richards married Barbara Cooper. They were married at Trinity United Methodist Church in Mount Gilead. Barbara graduated from Mount Gilead High School and The Ohio State University. She was an office manager for several ear, nose and throat doctors before retiring. Ron graduated from Sebring High School located in Sebring, Ohio. He started working at HPM and then was hired on at the phone company, where he worked until retirement. They have two children, Ronald Scott and Chad (Lorri) Richards. They have two grandchildren, Ashley (James) Twedt and Derek (Erica) Pleiman. Ron and Barabara have four great-grandchildren: Joel, Gabi, Mia Twedt and Mallory Pleiman. Please join them in a celebration at an open house on May 1 at the First United Methodist Church in Cardington from 2 – 4:30 p.m. Please bring memories instead of gifts.